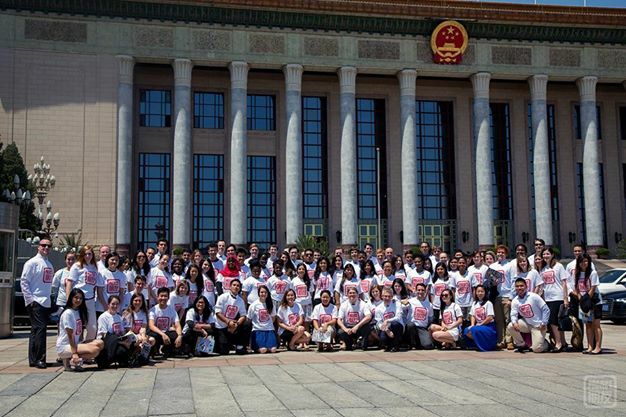 On July 10, 2014, IES Abroad Beijing faculty, students, and alumni were invited to attend a major event at the Great Hall of the People celebrating 35 years of US-PRC student exchanges. 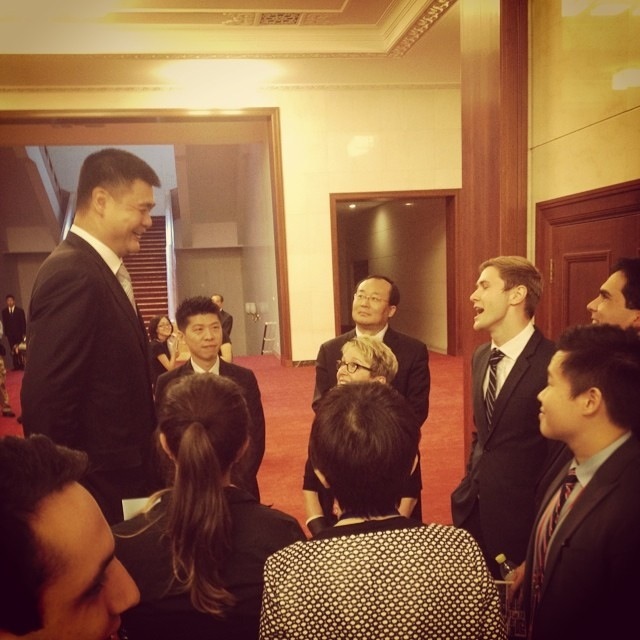 The program was a collaboration between Project Pengyou and the China Scholarship Council, and was held in conjunction with the fifth annual US-China Consultation on People-to-People Exchange (CPE), a high level bilateral forum led by Secretary of State John Kerry and Vice Premier Liu Yandong for government and private practitioners to discuss strategic cooperation and deepen mutual understanding. 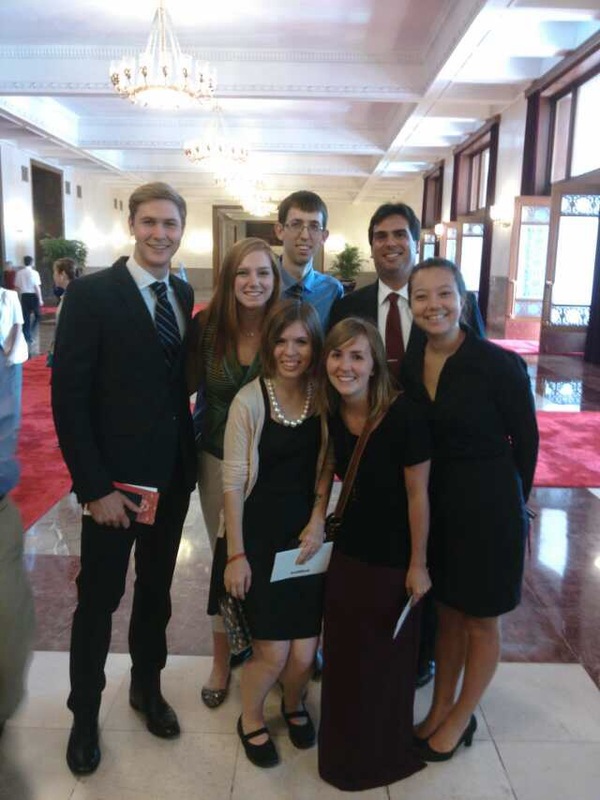 IES Abroad students Ross Dodson (University of Rochester) and Elizabeth Stephenson (The Citadel), along with IES Abroad Beijing alumni Devin Nickell (University of Missouri), Deven Ropes (University of Portland), Dana Fong (University of Puget Sound), and Joe Wood (University of Texas), as well as IES Abroad Beijing Center Director Jeremiah Jenne all joined the invite-only gathering. Speakers of the 35-year celebratory event included prominent alumni representatives who studied in the other country from the 1970s, 1980s, 1990s, and 2000s. Eight speakers told stories of their journeys and lessons while studying in the United States or China, reflecting on how studying abroad and student exchange affected their lives. The historic event was also attended and highlighted by the U.S. and China government leads of the CPE.